At 7 a.m, the sun is barely peeking above the redrock monuments, huge outcroppings, often standing all alone. The horizon is striking no matter the direction. Jody Lee-Chadde has a perfect view on her morning walk to school. 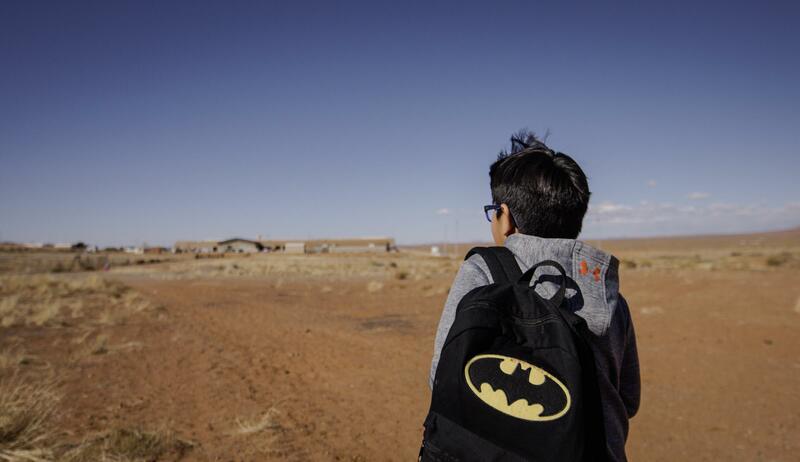 Lee-Chadde teaches 4th grade at Tsé'bii'nidzisgai (a Navajo word that means 'light on the rocks') Elementary School, also known as TES. 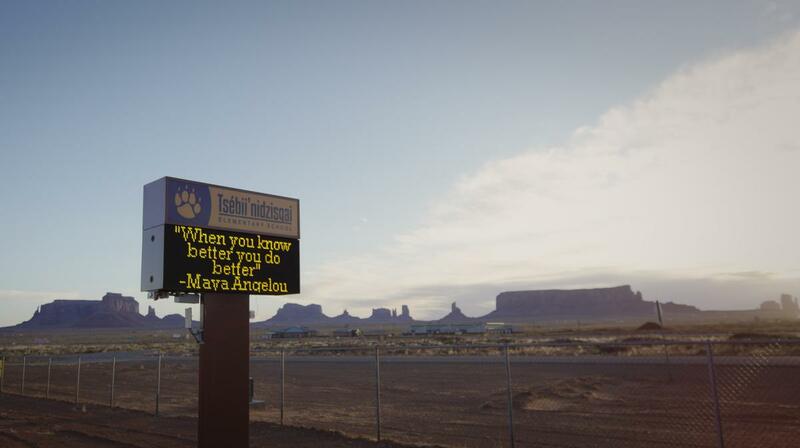 It’s located in the southeast corner of the state, which happens to be the northernmost point of the Navajo Nation, the largest Native American reservation in the country. Lee-Chadde, along with every other non-native teacher, lives practically next door to TES. Besides the breathtaking landscape, there was another factor that drew Lee-Chadde to Monument Valley: the salary. For some experienced teachers, San Juan School District is offering to pay them for each year they’ve taught plus an added $12,000. Lee-Chadde, who was teaching in New Mexico at the time, was offered $70,000. So, encouraged by the pay and intrigued by the challenge, she came. She said it has been challenging — students on the reservation are known to be shy. Lee-Chadde said it was weeks before some of her students spoke to her for the first time. “To gain the trust of the students was my first and most important job,” said Lee-Chadde. 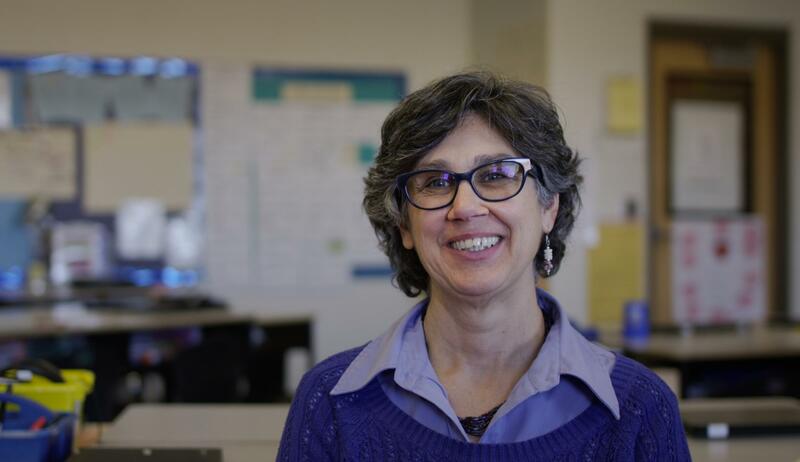 Since the beginning of the school year, Lee-Chadde has seen a transformation in her students. They’re engaged, they’re self-motivated, they offer to take turns reading. She loves it here, but she said her students constantly ask how long she’ll stick around. “Our students definitely notice how long you’re here,” said Christy Fitzgerald, the principal at TES. Fitzgerald said in a typical year TES and neighboring schools can lose 30 or 40 percent of their teachers, sometimes close to half. 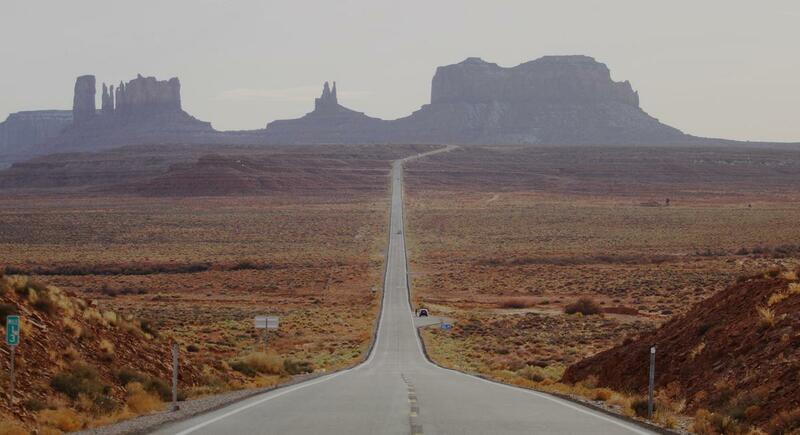 Although it’s beautiful, Monument Valley is also remote. If you want to shop at a large grocery store or go out to eat you’re looking at a two or three-hour drive. It takes a long time to build that trust that you're going to stay and that you're here for them, not for yourself. Because of those drawbacks, it’s hard to convince some teachers to stay. And the constant turnover, more than anything else, has made the task of improving a school like TES nearly impossible. “It takes a long time to build that trust that you’re going to stay and that you’re here for them, not for yourself,” said Fitzgerald. The turnover also takes a toll on student achievement. TES has an “F” rating based on statewide testing. So, the district decided to do something. With help from a state grant, the elementary schools on the reservation have been able to offer a few high paying positions to veteran teachers. They teach a full load of classes and are also responsible for mentoring fellow teachers. It’s called the Quality Teacher Incentive Program, or QTIP. Fitzgerald said the benefit is twofold. One, paying these teachers at the level of an administrator gives them the incentive to stay. And two, having this extra support and mentorship gives all of the other teachers incentive to stay. This is the first year TES has had QTIP positions. So far it seems to be working. “Amazingly enough right now we only have one teacher that is planning on leaving,” Fitzgerald said. Danielle Shirley, the school’s social worker, said this could have a huge effect on the students. 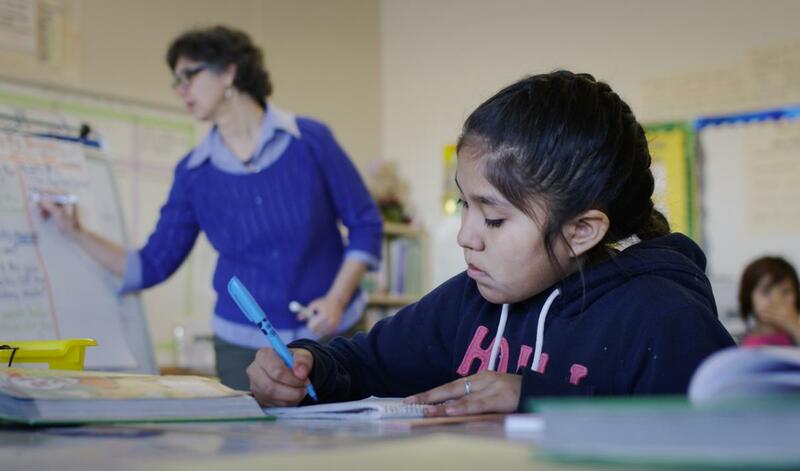 While she’s new to TES, Shirley grew up on the reservation and attended a neighboring elementary school. Shirley said these kids want to trust their teachers. They want to open up, they’re just extremely cautious. It was a struggle for her when she arrived. She tells them about her childhood. Bringing in water, walking through the brush to the bus stop, looking after her siblings. Shirley said the more they know about her story the more they trust her. But even then, they still wonder. “They keep asking me if I’m coming back next year and it’s really sad because I’m like, ‘Of course I’ll be here,’” said Shirley. Since Jody Lee-Chadde is also constantly asked that question she’s had time to think about the best answer. 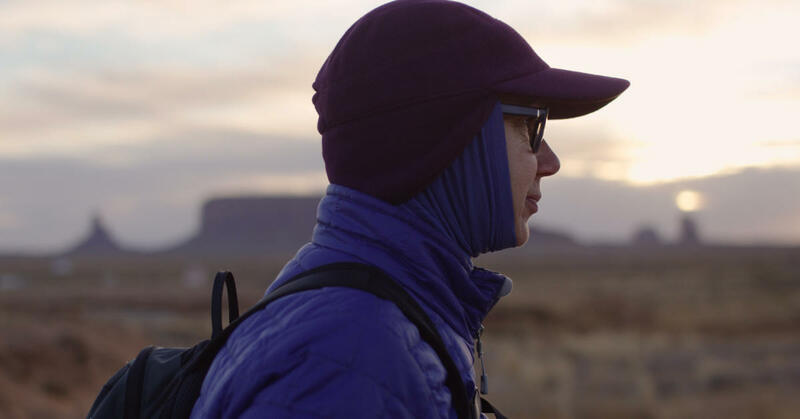 For Lee-Chadde, coming to Monument Valley was an exciting career move. But for her students, this place is their home.